One of the ways TSC Restoration has helped make a name for themselves in San Diego, one of the toughest markets in the country, is through extensive blogging. Their blog post a have become not only the backbone of their website, but also of their SEO and social media strategies. Here’s how you can use the same tactics to make your company a local leader in your own market. Some of TSC Restoration’s most popular posts show readers how to deal with water damage to a wide variety of objects, like hard drives and books. Several of these posts get hundreds of visits from Google each month, long after they were published, and they can share them again and again on social media for even more traffic. You might think that all of these topics have been done a million times over, but think again. Take a minute to search for “leather jacket water damage,” “game cartridge water damage,” or “headphones water damage” and you’ll see that the results are, well, underwhelming. It’s easy to top Google search results with these topics. When the only other results for “watered damaged ecigarette repair” are forum discussions, an in-depth blog post from a restoration company will stick out in a good way. Once you rank first for these topics, you’ll naturally attract links. People have linked to TSC’s posts on these subjects from retailer blogs, forums, and more, which all helps their SEO. These topics are easy to share on social media to grow your presence. In time, that will help build your channels. These topics make you look like a pro. Once people see your approach for fixing a water damaged couch, they’ll have much more faith in your expertise. There is one big downside to this approach, however. Expect to get calls from people who want you to restore their iPads and tennis shoes, even if you put a giant notice on your blog posts that you don’t offer those services individually. 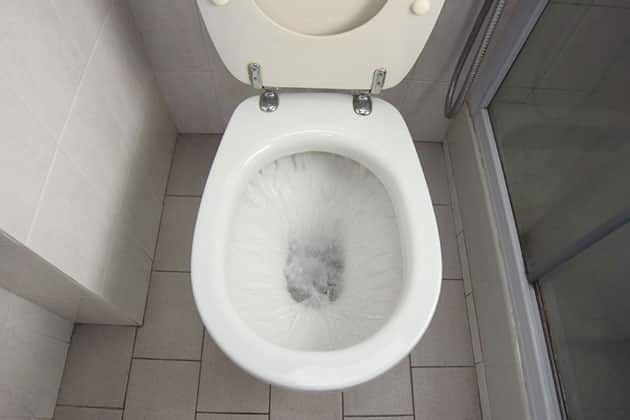 When your toilet breaks, you probably call a plumber. When your sprinklers break, you might call a landscaper, or a handyman, or an irrigation contractor. And when your washing machine leaks and ruins your floor, you might know who to call—but your customers may not. The fact is, plenty of homeowners have never even heard of the damage restoation industry, and they don’t have any idea who to call when a broken pipe floods their basement. The majority of these posts will cover the same material, but there are always other aspects you can cover. A broken dishwasher will always be in a kitchen, so you can talk about damage to hardwood, linoleum and tile. A backed up sewer line can expose a house to black water, which you should absolutely tell readers about. These posts may not get you as many natural links or be as shareable on social media, but niche topics can generate lots of traffic from Google. They can also make for respectable-looking content that helps flesh out your website, they can pair well with ads, and they can be used for proactive link building on forums and discussions where people are already talking about these topics. Once you realize that you can run local ads for “leaking water heater” at a fraction of the price of “water damage restoration,” it’s hard not to love these topics. What determines the cost of a restoration job? What’s the difference between grey water and black water? How long does it take to fix a water damaged floor? You probably hear these questions all the time, which is a good reason to turn them into blog posts. First, the next time a customer emails you with a question that needs some explanation, turn it into a blog post. Send it to them with a little context and they’ll be amazed that you took the time to give them such an in-depth answer. If the interaction happens over social media, there’s also a good chance that they’ll share it with their friends out of appreciation. Next, you’ll have the answer at the ready the next time another customer asks. If you get the same questions all the time, this will save you time and headaches, while also making you look proactive about helping customers. It’s a win/win. These topics also perform extremely well on Google, can be used to get links from other websites, and can sometimes perform well on social media as well. If you want to reach a local audience, this is the way to do it. Every region has their own forms of natural disaster and extreme weather to deal with, and there are always topics that have yet to be covered. 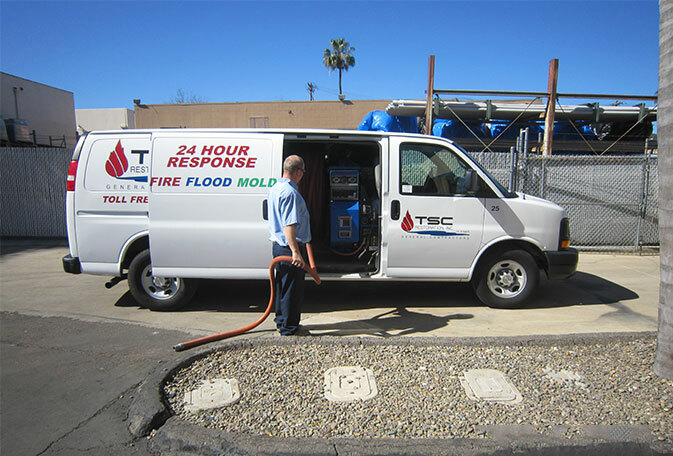 Flooding is a reality for San Diego, which is why TSC Restoration has dedicated a large part of their blog to flood preparedness. Does my homeowner’s insurance cover damage from ______? This is still just scratching the surface. Even slimmer topics like “how to keep up your hygiene during a ____” or “what to do if power goes out during a ______” can earn you plenty of clicks from plenty of channels. So what’s the benefit of these posts? While they’re much more time sensitive than the other topics, they can easily reach your target market when they’re the most receptive. They can also help you receive local media coverage, create good will with potential customers, and naturally generate links for your SEO. You can even use them to reach out to other local business: the vet down the street might appreciate and help share you post about preparing cats for tornadoes. It might sound crazy to blog about the best places to see 4th of July fireworks in your area, but this is actually one of the most effective kinds of posts you can publish to build awareness and goodwill. First, these posts are extremely shareable on social media, and time-sensitive posts can earn enormous traffic. Not too long ago, we published this post on the best places to see a solar eclipse in Stockton. In just a few days it earned 1,600 unique visits, exposing several hundred local people to the brand for the first time. Not too bad, right? Second, it’s easy to get other companies to help you to promote these posts. If you do a roundup of all the best places to take the kids on Halloween, chances are good that several of those locations will be businesses. Tag them when you share the post on Facebook and you can quickly tap into much larger audiences than you’re used to. Third, these posts are fairly linkable. Realtors love sharing posts like “the 4 best local parks with public grills” because it makes their job easier. All you have to do is give them a reason to link to it, too. And lastly, these posts can help you rank outside of your hometown. It can be hard to come up with content that targets Oceanside from San Diego, but if one of “The 10 best free yoga groups in San Diego County” happens to meet in Oceanside, that gives you something worthwhile to link back to your Oceanside page. Of course, these posts are the least likely to earn you business in the short term, but they’ll earn you exposure and goodwill with your target market, help you build partnerships with other local businesses, and grow your social channels for more promotional posts. Not too bad for just sharing your favorite local taco stands, right? Be sure to check out our other article on local content marketing. Does My Damage Restoration Company Need a Blog? SEO is one of the best ways to market a water damage restoration business, but it’s not your only option. If your goal is to grow your business in the long term, though, investing in SEO and blogging is a smart, worthwhile investment. 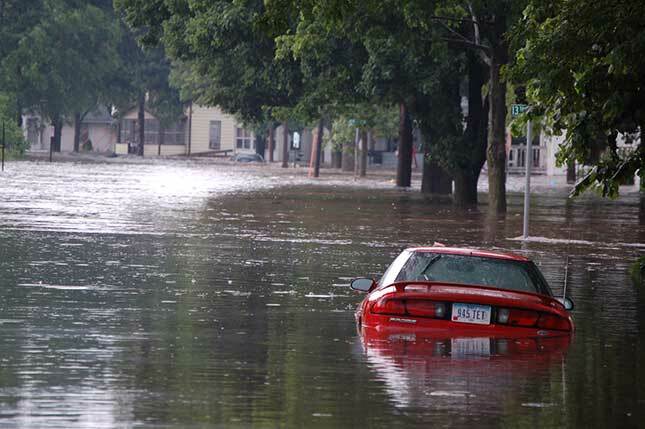 Contact us any time to learn about what SEO can do for your water damage restoration business.